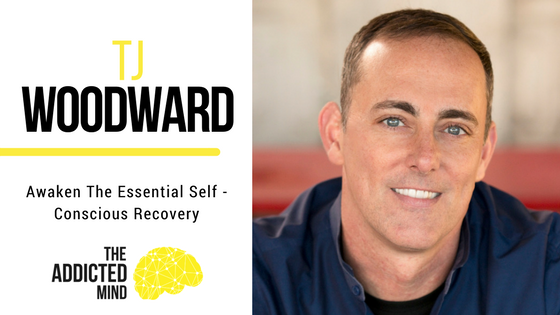 TJ Woodward is with us today to talk about a system of care that he has developed called conscious recovery. Conscious recovery is a groundbreaking and practical approach to viewing and treating addiction. It’s how we see addiction and addiction treatment through the spiritual lens. Your spiritual life is a big part of recovery and finding a place of calm within yourself is a critical stage. TJ has worked, with remarkable results, for over a decade in spiritual care at top-tier treatment centers, and he has been in recovery for 31 years. TJ explains that conscious recovery started with a question: What might happen if I were to view all of his clients through the lens of wholeness imperfection rather than looking through the lens to see whats broken. Typically in western medicine, we look at symptoms and behaviors and try to eradicate them. Addiction is quite different. Once we view addiction as the problem or the client as broken in some way, we have limited the capacity of the client’s ability to heal. In this mindset, we can look at the addiction, not as a problem but the solution to something. Once we view it at the answer, we can start asking the question “What is below that?” Conscious recovery is a program that helps us to get down to the more in-depth causes that are driving the addictive behavior. When a client sees that they have been using their addiction as a solution, and now it’s no longer working, they can break free from that. TJ shares his personal story of closing off and shutting down as a seven-year-old boy. Before that, he was a happy child, in awe of the world. Something happened when he was 7, and he closed down and shut off. There was not a specific event that happened but he found himself shutting down, and he did not find relief until he discovered drugs and alcohol at the age of 13. 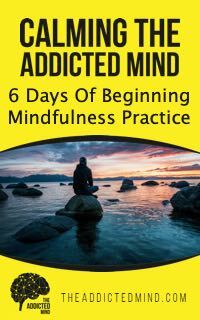 He recognizes that his addictions were a solution that worked in his life. They didn’t work long term, but they were the band-aid for some deeper wounds. That is what set the framework for how he looks at addiction. When clients understand that, there is a profound shift in themselves, and they no longer see their addiction as the problem, but what was it hiding underneath. TJ is quick to remind us that conscious recovery is looking through the spiritual lens. He does not deny that there is a physical or mental aspect that needs to be addressed as well. Conscious recovery is meant to assist someone and work with whatever therapy or program they prefer. Unresolved trauma – Almost anyone who is struggling with addiction has had some type of unresolved trauma in their life. Trauma is not always easily identifiable. But recognizing your trauma is very important. Spiritual disconnection – Spirituality does not necessarily have anything to do with God or a higher power. The trauma experienced can cause us to spiritually separate from our essential self. Toxic shame – Once we identify the trauma, and then we experience that spiritual disconnection, we develop a sense that we are broken. Guilt is a sense that you’ve done something wrong. Shame is the sense that I am wrong. Shame is such a painful emotion. The pain that comes along with shame is so incredible. Most cannot tolerate it for very long. Addiction gives you some relief, even if just for a moment. In breaking the cycle of addiction, the first step is creating internal and external safety. Some clients need to go to treatment in a sober living environment to feel that sense of external safety. Learning to be in our bodies and to identify whats happening internally, and the connection with the thoughts and emotions, so that we can tolerate being with ourselves, will help to create our internal safety. TJ encourages anyone looking for the right clinician or therapist to ask questions. Ask how they view addiction, and how they see healing from addiction. It’s not going to look the same for everyone and if you don’t find the right person, keep looking. The main idea is to find someone that creates a safe environment for you. We end with a message of encouragement to reach out and get help. There are many excellent recovery programs and support groups to choose from. You alone must do it, but you don’t need to do it alone.